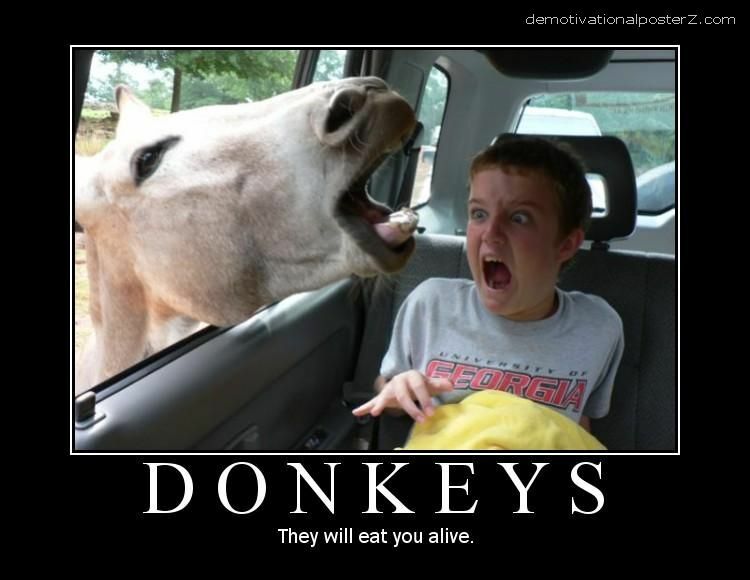 DONKEYS - they will eat you alive. You funny kid! You tell funny joke! lol!